Paid One members with plans over 2TB (i.e. those who are paying $10/month and more) are starting to get emails notifying them of their freebie. 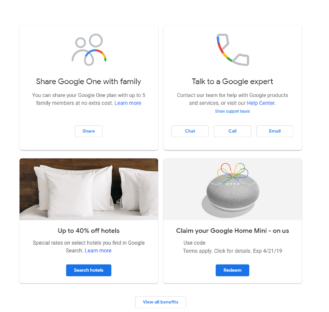 But even if you didn't get one, you should head over to one.google.com and check for a card to "Claim your Google Home Mini - on us." Artem got the card even though he didn't receive any email. 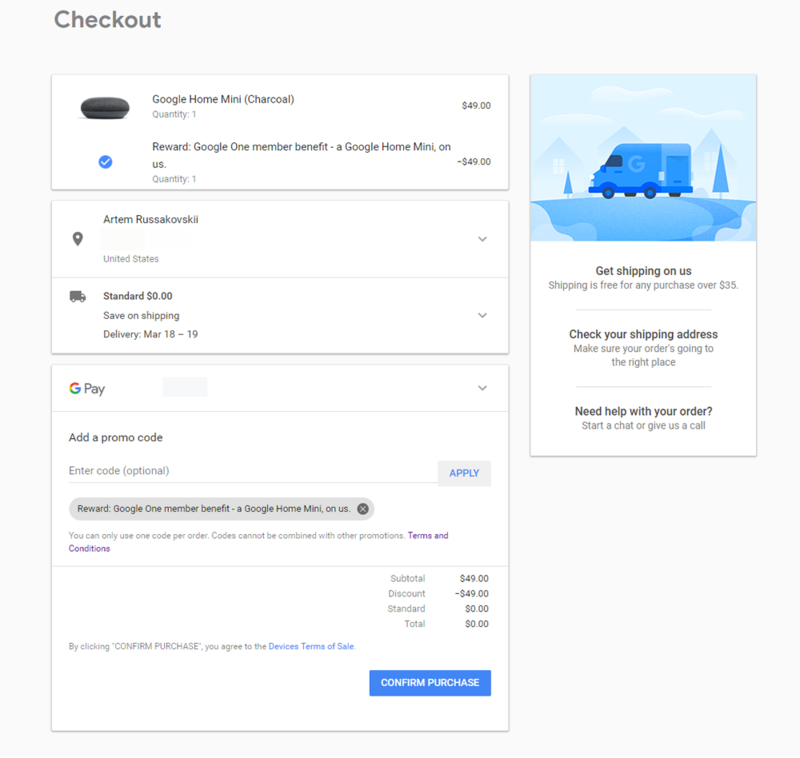 He was also able to redeem his freebie from the Google Store. 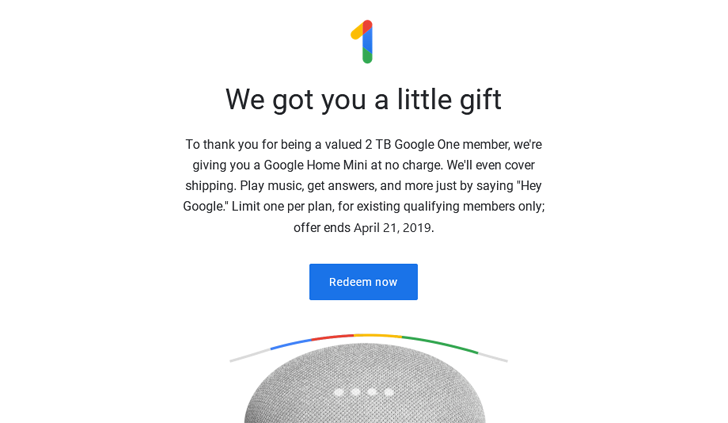 According to the terms, the offer is valid until April 21 for users on the Google US Store who have activated a 2TB+ One plan before March 4 — so there's no point in subscribing now just to get the freebie.